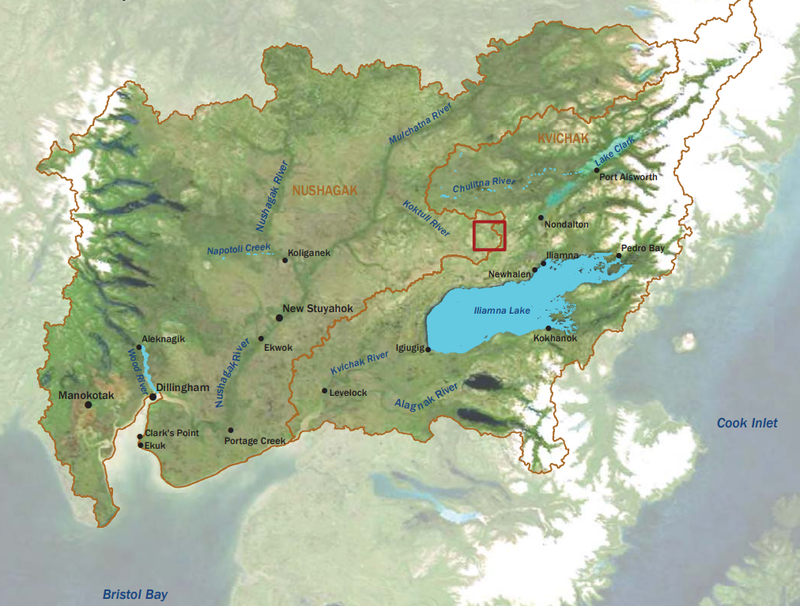 A controversial proposed mine in southwest Alaska is taking another significant step forward. Pebble Limited Partnership has announced that tomorrow, it will apply for a federal Clean Water Act permit from the U.S. Army Corps of Engineers. It’s the first of many permit applications Pebble needs to file before it can build the proposed copper and gold mine. But it’s still a triumph for its backers. With this, Pebble will have checked off all three goals it wanted to accomplish this year: a settlement with the Environmental Protection Agency, a new partner and a permit application. Tom Collier is Pebble’s CEO. “We said we intended to accomplish all three of those this year and we think we’ve got the hat trick here, we think we got all three done and we’re pretty pleased,” said Pebble CEO Tom Collier. The permit application triggers the federal environmental review process. Agencies will use that process to determine whether the mine should be approved. It also means more detailed plans on the mine’s design will soon be made public. Collier says he thinks this is a good thing. The Obama administration had proposed Clean Water Act restrictions on the Pebble mine before the standard permitting process could begin. That threw the mine’s future into question. Back then, EPA said it was responding to widespread local concern that the mine could harm the Bristol Bay salmon fishery. But after President Donald Trump took office, EPA announced a settlement with Pebble. That settlement invited the company to pursue permitting again. Alannah Hurley is executive director of United Tribes of Bristol Bay. She says the mine is harder to fight once the permitting process begins, but not impossible. “We’re very confident that we’ll be able to defeat the project within the permitting process because you cannot change the fact that this type of development will devastate the Bristol Bay fishery,” Hurley said. Just this Monday, Pebble announced it secured a new partner for the mine — the Canadian company First Quantum Minerals. Pebble’s leadership says First Quantum Minerals’ investment in the project will help fund it through the permitting process. Pebble hopes to complete the permitting process in three to five years. Previous articleOil companies aren’t promising to drill in ANWR…so how interested are they?